Years ago, Omegle brought to the Internet world a niche that proved to be an instant hit, a website that lets you chat with strangers randomly from around the world. It became even popular when it came to Android. However, users have often complained about the absurd number of spambots on Omegle. Deterioration due to this has made it less user-friendly. 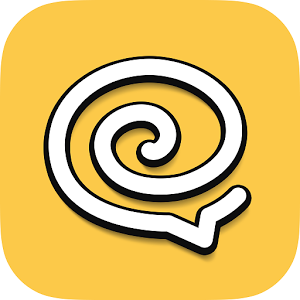 Since then, numerous stranger/anonymous chat apps have been released and we have compiled this review for an app of the same kind that is, Chatspin - Random Video Chat. What is Chatspin - Random Video Chat? Chatspin - Random Video Chat is a brand new app to random video chat with strangers and make new friends around the world or even date with new people nearby. Unique matching algorithm and advanced video chat technology are used to make the random video chat experience even better. Quickly meet hot girls or cool guys and online dating in exciting new ways. Break the ice by saying hi, asking fun questions or... Just come & find new love or make lasting friendship in Chatspin - Random Video Chat. Just swipe left to random match with people all over the world. Once a match with someone successfully, start live video chat face-to-face in real time. The app also brings an instant messaging feature that helps you chat during video random video chat session or also after, it ends. In order to get started, you are not asked to fill unnecessary forms just sign in with your Facebook account and find what the world is holding for you. It also brings real-time translation features and there is a thumb up feature to show your like for the person you are interested in. Have this one today free on your Android and start meeting interesting people around you. Direct download link to the app is present below this review article.